The Reds entered play today having lost six straight games to the Cleveland Indians, and were just 1-9 against the Indians over the last two seasons. In 2016, Reds pitching allowed 43 runs in 4 games against Cleveland. Scott Feldman was coming off his worst start of the season, getting beat around by the Cubs last week. Feldman has pitched nearly all of his career in the American League prior to this season, and he looked comfortable against the defending AL champs tonight. Feldman allowed just one run over six innings, and struck out nine, his best in a Reds uniform. The Reds offense scratched across five runs. One came from a suicide squeeze from Arismendy Alcantara. Another came from a home run from Scott Schebler, who has now homered in three consecutive games. 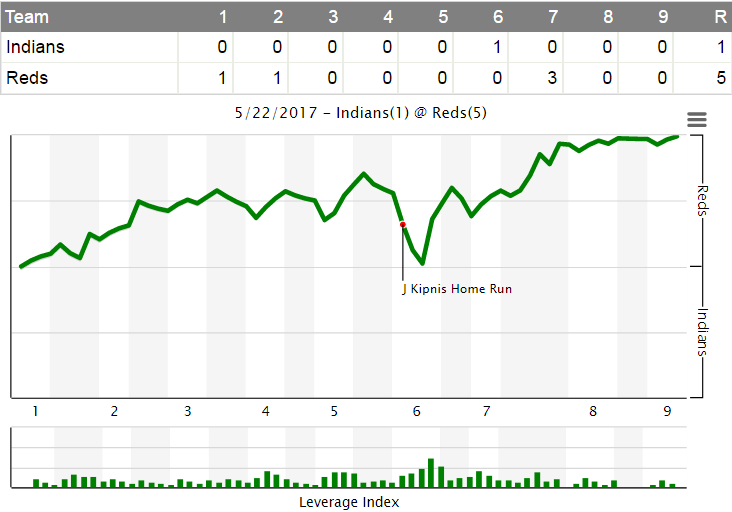 According to FangraphsÃ‚Â WPA statisticÃ‚Â (winning percentage added), the most important play of the game was Scott Feldman getting Carlos Santana to ground into a double play in the 6th inning (2 outs, runner on 3rd base, Reds lead 2-1).Ã‚Â That play increased the Reds chances of winning by 16.9% (from 51.1% to 68.0%). Scott FeldmanÃ‚Â was coming off his worst start of the season last week against the Cubs (2.2 IP, 5 H, 7 ER, 3 BB, 4 K). He bounced back in a big way tonight:Ã‚Â 6.0 IP, 4 H, 1 R, 1 ER, 2 BB, 9 SO, 1 HR. Feldman’s previous high for strikeouts this season was 6. 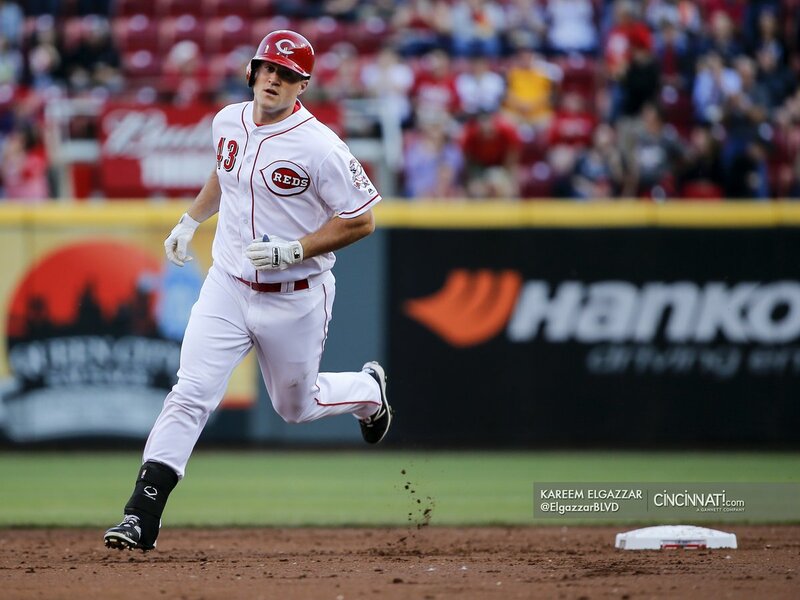 Scott ScheblerÃ‚Â has now homered in three consecutive games, and now has 13 home runs on the season. Schebler is now on pace for 48 (!) homers. Zack CozartÃ‚Â had a big 2-RBI single in the 7th inning, which extended the Reds lead to 5-1. Joey VottoÃ‚Â extended his on-base streak to 25 games with a rocket double in the 6th inning. 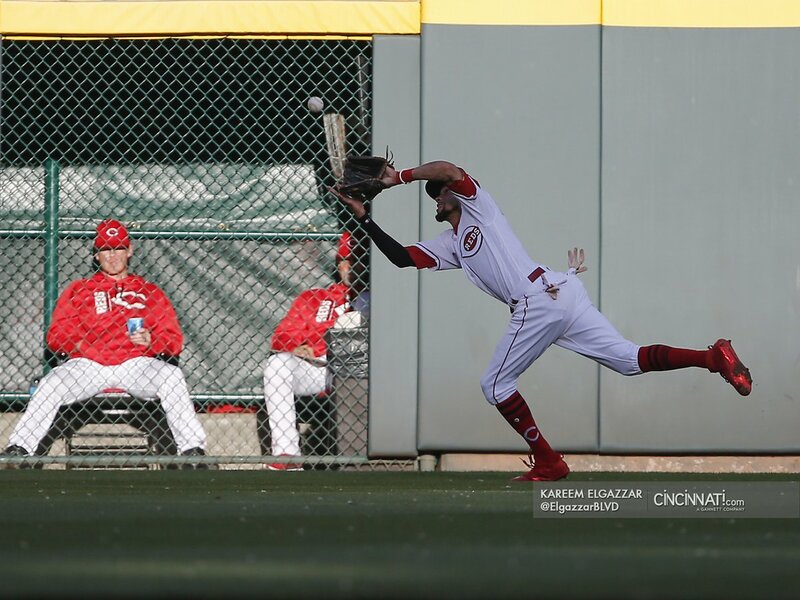 Billy HamiltonÃ‚Â had another big night, collecting two hits. Hamilton had his 20-game on-base streak snapped yesterday, so it looks like it is time to start another steak! Hamilton also made another terrific catch…shocker. Arismendy AlcantaraÃ‚Â laid down a beautiful squeeze bunt that turned into an error, and got him on second base. Joey VottoÃ‚Â made a “sort-of” TOOTBLAN in the 6th inning. Votto was doubled up at second base to end the inning after Carlos Santana made a great diving catch. The Indians broadcast said that Votto must have forgot how many outs there were, but I would be more inclined to believe that Votto thought Carlos Santana, who was making his 4th career start in the outfield over his 8-year career, was not going to make that catch. Scott FeldmanÃ‚Â was really good tonight, but he did get really lucky in the 6th inning.Ã‚Â Edwin EncarnacionÃ‚Â absolutely murdered a baseball, but it was just foul. That would have tied the game. The statcast numbers on that one…..oh boy. Edwin Encarnacion's foul ball was hit 110.1 MPH and projected at 428ft. I’d add AA to the player of the game list … that safety squeeze was flawless and it put the Reds in position to add on 2 more. Very fun to watch that after Tucker mashed one on the hit-and-run. This against the team that just swept the Stros. Baseball is a funny game. Big win for the Reds in terms of confidence building. Lots to like about that game, not least of which is just the big picture fact or beating a really good team. I do have a request for RLN. Can anyone tell me where to find pitch / strike zone charts for individual at bats? It feels like there have been a lot of weird ball and strike calls recently – where can I look to,see if a call was valid or not, or whether the pitch that was swung at was a ball or strike? The MLB App gives that data live, but it’s gone after each at bat. Thanks to all the more dedicated stats guys on RLN! I can’t quite remember the name, Reds Strike Zone maybe, but there is a twitter account that archives each strike zone whenever an unusual ball/strike call is made whether it helps or hurts the Reds. It also shows how often other umps make the same call rather than simply show strike zone. I think this exists for every team. I do also think there is a way to see them on At Bat, but it probably goes away after the game ends. You click or tap on where it says the result of the at bat in a colored box and an down-arrow beside the text. Thanks Scott. The account is indeed called Reds Strike Zone and the link is @RedsUmp. It only posts specific questionable pitches rather than all pitches or even all pitches for the at bat where a questionable call was made. But I like the feature that gives the pitch location, and the historic likelihood of getting the same call. In the case of strike three on Votto in the 7th last night, 1.4 inches inside and only called a strike 28% of the time. Should have been ball 4. Of course. Thanks for the tip. Broseph you were absolutely right. For some reason it’s on the MLB.com site, but not in my MLB At Bat App, even though it’s the same source. BTW it shows strike three to Votto in the 7th last night was in fact ball 4. Thanks. This might be what you are looking for. Patrick Jeter is master at finding this stuff though. Sweet. Thanks VA (and Patrick). I know Mr. Jeter is a whiz at this stuff, though I must say I’m a little jealous of the time he seems to have to devote to this stuff. I need my beauty rest! Interesting that Brooks Baseball shows pitch 6 in the Votto at bat IN the strike zone, while Reds Strike Zone and MLB.com both show it off the plate inside. Seems like it was close but it sure didn’t look close on Fox last night. I’ve never been in favor of robo umps but I’m slowly changing my mind on balls and strikes. There’s so much inconsistency. If the Votto pitch is called a strike 28% of the time that means the umps are wrong either 28% or worse, 72% of the time on that pitch. Yikes. There was a time when I had time to devote time… not anymore. You’ll probably notice I have only written 1 well-researched post this season. Oddly enough, Brooks says that ball was in-the-zone. Votto was wrong. He’s human, I gues! Can we talk about the amazing month Billy is having? I think this is the most understated narrative of this team. First game I attended this year… Billy didn’t disappoint. If you’re ranking players on entertainment value, he wins. I thought he would catch Kipnis’ HR, and he almost got there. He makes me wish GABP had more room in CF, can you imagine how much fun it would be to watch him in Colorado or Houston? It would only be fun if he were playing there as a Red in an away game. Ricky Henderson averaged better numbers over 25 years than Hamilton put forth in a great 3 week stretch. I’m a fan, but let’s not get carried away. He’s always had great stretches mixed with periods of sheer awfulness. If Billy can keep the bat from getting knocked out of his hands, he’ll be fine. Is it possible for a month to be considered “great” when another person’s 21 year sampling is better? A great month, given the small sampling, should be off the charts awesome. I’m not comparing Hamilton to Henderson as much as I’m comparing Hamilton at his best to Hendersons 21 year averages. Hamilton played well. I’m happy he played well. He’s the player I like the most, but we shouldn’t want to name an aircraft carrier after him for playing 1 month of really good baseball. Junior Kennedy and Ryan Freel had good months. Remember that Chad is always going to pump Billy and that he’s not entirely serious when doing so. I could see Ryan Freel saying that (may he rest in peace). So did Babe Ruth, Hank Aaron, and Willie Mays. So what’s your point? Do we have to wait 20 years down the road to talk about somebody having a good month in May of 2017. Or will that be off limits if he doesn’t follow this month up with a hall of fame career? I agree with VA and Exile. Billy has played well lately, certainly well enough to be pleased about. The fact that he hasn’t been Ricky Henderson at the plate doesn’t diminish his value. If that was the bar for entry then the Reds would have Votto to hit, Hamilton to run the bases and Chapman to throw fastballs – from the last decade. Those are the only historically great players they’ve had recently. Do I want sustained results from Hamilton? Of course. Am I excited that he’s sustained good offense for almost a month? You bet. Billy’s OPS for May is .834, or just .002 off Schebler’s .836; Duvall is the laggard, at .726. Duvall can probably smell Jesse Winker’s breath by now. Rickey Henderson’s career OPS was .820, plus he didn’t have Billy’s defensive prowess, so . . .
I’ll be the Debbie Downer. 😉 This is Billy’s 5th time having a streak like this over about this many games, and he always comes crashing back down. Let’s hope this time is different. This game shows what could happen with even just decent starting pitching on a regular basis. The offense scored as usual, and the trio of Peralta, Lorenzen and Iglesias shut down the last three innings. With even decent starting pitching, this team could be competitive every game, if not a just yet a contender. It’s really amazing how good this offense has been. That’s an interesting link. All 3 of the Reds’ top WAR guys are apparently lousy baserunners (Votto, Cozart, and Suarez). Also, Joey Votto is 5th in Walk% and 8th in lowest K%. Ridiculous. Agreed. What Votto is doing right now seems insane. I bet there has never been a person (in the Strikeout Era) who has maintained Votto’s level of power while also walking more than he’s struck out. Might be a good idea for a post if anyone wants to do a guest post! Chad will throw it up for you! I was wondering if anybody knows what is Votto’s longest hitless streak? Imagine their record with Homer, Finnegan and Descanfani?! This teams missing link is the starting pitching. The offense is legit and the bullpen is lights out. Reds fans this team is close!!! Very excited for their future! I was going to say the same thing, Tom. The Reds would very possibly be in the post-season discussion if they had decent starting pitching. Those 3 have collectively won 52% of their decisions. Given we’re a little more than 25% into the season, my guess is they would’ve added 3, maybe 4 wins….which doesn’t seem like much but over the course of a season that’s 10-16 wins. Without those 3, this is anout a 72-75 win team. If they play half the season, my guess is this is a 77-80 win team. I don’t know what happened to the middle paragraph. Essentially, I posted how much I love the different personalities of the writers on this site. It was absolutely no doubt that you will have fans but it’s also true that you are professionals. As I was saying earlier today…. the offense, defense, and bullpen look like legitimate playoff contenders. And this is why it irks me to see Arroyo and Adleman starting 40% of the games when there are obviously more talented guys in the system. The team should at least give itself a fighting chance before giving up on 2017. Yes, but according to some on here, They weren’t supposed to win this year, therefore they shouldn’t try. Straw man alert. The caveat is “at what cost” should they try to win in 2017? Do they deviate from the rebuild for a chance at a wild card appearance? They are not better than the Cubs who can buy whatever they want at the deadline. How many pieces do they devote to fixing the starting pitching NOW? These are tough, real world choices. Would you be comfortable with another Gary Majewski trade? How about Matt Latos? It would probably take both to firm up the Reds starting staffÃ¢â‚¬â€maybe more. The Reds need two or three starters to have a real shot. 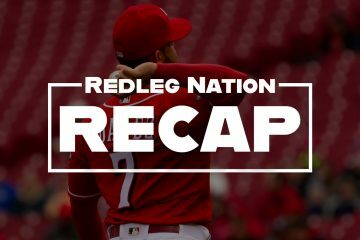 I can’t see the Reds dramatically improving their starting pitching very soon without crippling the rebuild. Possibly Iglesias & Hererra or Winker could land some help, maybe even Hamilton & say Mahle could produce a reliable sp. Anything less would either get a half season rental or a young guy like Stephenson, Garrett, or Lorenzen. At a certain point you’re robbing Peter to pay Paul in that scenario. (Not saying that’s your suggestion). You don’t take away what could be key pieces of the rebuild just to try and jump the gun a little early. Especially when we’re starting to see the make up of the next core of good Reds teams. I agree with the notion that the rebuild should be the priority, winning is a bonus that makes the journey more fun. Going “all in” for a WC doesn’t make much sense when you’re talking about competing with the Cubs/Cardinals/Dodgers who have bigger pockets. The Reds still need at least 3 starters to add to the fold. Amir may falter down the stretch as he’s pitching more innings than he’s used to. Who knows what the 3 DL’d guys will give us. Do we want to go into a WC chase with Feldman as the #5 guy? Stick to the rebuild. Trade Cozart for value at the deadline. Try to flip Storen at the deadline. Listen on other relievers to see if you’ll be blown away by an offer. Be open to trading any of Duvall, Schebler, or Hamilton (due to already being in ARB) at the deadline for the right deal. If you can sell high, sell high. The Straily trade is a perfect example. Otherwise, draft well and keep hoping for progress from Romano, Winker, Herrera, Senzel, Long, Aquino, Mahle, Castillo, Santillan, T. Stephensons, Trammell, Friedl, Beltre, Moss, Hernandez, Herget, Rainey, etc. I know after 3+ years of losing it’s natural to see if we could go for it. And that would be great if we could. Just don’t jeopardize the effort it took to get here by trying to get there a year earlier. Alert! Looking for experienced starting pitching? Carlos Zambrano is pitching in the Latin America. He’s only thirty-five, and he could help in brawls when he isn’t fighting his own teammates. Considering the years of team control involved in the Latos trade and the fact that 2012 may have gone very differently without him, I would make that trade again. I’d pull off a similar trade for the right pitcher. It wouldn’t cripple the rebuild to do so. The key is low cost years of control for a guy who is a solid #2/#3 pitcher for the next few years. if that control was just for 2017 and 2018, then no, I don’t make a move like that. I think the Reds are closer to 2019/2020 as contending years than I do 2018 as a contending year. The more talented guys in the system haven’t shown that they’re ready to perform at the MLB level. I’m coming to agree with the idea that it makes sense to give the young guys more opportunity than they’ve had so far, but doing so seems unlikely to boost the Reds into contention this year. Adleman and 40-year-old Arroyo haven’t shown they’re able to perform at the major league level, but that doesn’t seem to be stopping the organization from giving them chance after chance after chance to “figure things out.” I just don’t see how this is helping the young guys, who’ve shown they can pitch in the minors, become better major league players. Who do you suggest replace them? Who has shown they can pitch in the minors with success at AAA? Well the two I know of, who have put up good numbers at AAA are Romano and Reed, both in pretty small sample sizes. Romano is the best prospect a AAA and he’s been injured. Reed was given the opportunity to start once this year, a few times last year but struggled. He’s down in AAA to stretch out and regain some control and confidence, hopefully. I don’t really want to see the Reds bring him back up before he’s ready. Davis is there but struggled big time and showed he wasn’t ready to contribute yet as a starter. Davis completed 5 IP one time in 5 attempts. He walked 13 guys in 19 IP. Adleman in contrast has completed the 5th inning 4 times in 7 attempts and has walked 12 guys in 32 IP. Adleman’s overall numbers are dragged down by the 1 IP start he had that he had to leave with a neck injury. Jackson Stephens is on the 40-man but has struggled in his first stint at AAA. He has a .576 ERA in 9 games started. Beyond those guys it’s guys that are a couple guys pitching well in AA. Notably Castillo and Mahle. Ross and McGuire have also pitched well but aren’t exactly seen as prospects as they’re both older. But jumping from AA to the Big Leagues is no easy feat. Few do it successfully without hiccups. Why rush them? It’s not everyone’s favorite thing to see Arroyo and company get shelled every couple of days. I get it, it’s frustrating, even as an Arroyo fan who wanted him to have something left. But without good options, I’d rather let these guys take their lumps than send young prospects out there to the wolves and potentially shake their confidence or lead them to try and overthrow which could lead to injury. The issue that I have with Arroyo is that he is not even replacement value. Baseball-Reference has him at -0.8 after nine starts. By definition, a replacement-level pitcher is better than Arroyo. It doesn’t have to be one of the young guys like Reed or Romano or Davis, because I agree that they don’t need to rushed. But they found Wojo (and Strailly last year), and there are other 28-year-olds at AAA with other teams who have to be better options than Arroyo but who wouldn’t cost much in trade. I suppose they have made the decision to patch it together with what they have, until Finnegan and Bailey get back. If so, I’d rather them have Stephenson and Wojo get a few starts, and turn Arroyo out to pasture, or at least the bullpen pasture. There’s a guy in the bullpen who’s had quite a bit of minor league success..,. It’s much too early to give up on 2017. If Bailey, DeSclafani and Finnegan come back from their injuries this season, they’ll need time to regain strength. In the meantime, the starting rotation should be Feldman, Garrett, Lorenzen, Reed and Stephenson. Rebuild year three is the time to let the young pitchers get their experience. Enough of the inning-eater stuff with pitchers who are not a part of the rebuild. 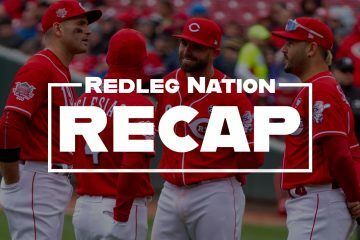 I won’t comment on letting the young guys pitch until after the break.This team can win with just average starting pitching but that only gets us 75 wins more or less.Problem really is we don’t know what kind of staff we have going forward until the injured guys get back and pitch.Like last year we plugged in guys and when Iggy,Lorenzen and Disco came back mid year this team got much much better.If Homer,Disco and Finny come back and pitch just average then we get much much better.Our pen can shorten a game on most nights just like last night.It really is hard to imagine us being around 500 with the performance of our starters but the defense,hitting and pen have performed very well.Middle of the pack pitching stats get us above 500 right now.The Cubs developed their position players and then bought their pitchers but we have to do both and it takes time.We are trending upward but dang those injuries are slowing us down. One more comment about the offense.Its young but if Billy and Peraza can get to 320 or 330 OBP and Mesoraco takes off then this team becomes really really good on offense.I know those are big if’s but the other 5 guys aren’t going to falter except maybe Cozy coming back down to earth.Joey,Scott,Duvall and Suarez all bring power and the ability to get on base at a predictable pace.The first three I mentioned are the key. The original Bruce for Zach Wheeler trade looks a lot better then Herrera at this point? If they had Wheeler and Straily this thing would look a lot brighter but I understand we’re looking long term. The thing I keep going back to is that there is only one Joey Votto and he can’t be replaced! He’ll be 34 in September. Cozart is the cornerstone of the infield defense and he’s finally drawing walks and taking pitches. He can’t be replaced….atleast not anytime soon with Jose “7 pitches to make 3 outs” Peraza. Cozart is also a good guy and a solid teammate. Team chemistry matters as well. I watched a little of the White Sox game last night and Hawk Harrelson was talking about how SS Rick Burleson went down in 1978 for the Red Sox and they went on to blow a 15.5 game lead. 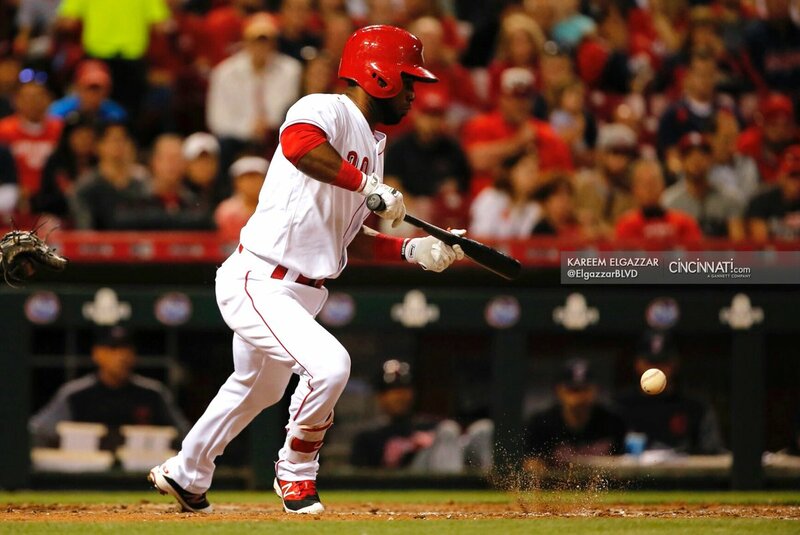 If you deal Cozart then 2018 isn’t the year….now its 2019 or 2020. Votto will be 36 in 2019! Now they’ll prob trade Cozart this year and their big offseason signing will be Bart Colon or Jeff Weaver as a “bridge”….as in bridge to nowhere or a bridge to find the ball that a Cub just hit into the Ohio River! I prefer to wait and see what the three amigos on the DL are going to contribute this year, particularly Bailey, will he be able to pitch. I can watch Feldman get through 5 or 6 innings every 5’th Day, not sure about Arroyo, the only option I see is giving Lorenzen or Wojo a shot at that spot, but the FO doesn’t seem to be considering stretching out out Lorenzen. Hard to say what they are thing of Wojo but like Ross and McGuire he is older. I remember when Lorenzen started against the White Sox in 2015 and Harrelson said he reminded him of Zack Greinke. He’s got that same live arm & competitiveness! Obviously..he’ll prob never be an elite starter like Greinke but nobody currently above AA has his potential! I guess we’ll just wait on the 3 amigos like you said and see what happens? I don’t expect much out of Homer….just doesn’t seem durable enough? Bud Norris was never a good starter but now he’s closing for the Angels and he looks pretty good! That might be a good fit for Homer and would allow them to use Raisel or Peralta a little earlier in high leverage situations! Homer is the guy that would need his innings limited and not Lorenzen. Lorenzen is strong as a horse! I agree Indy, Homer might be a better fit in the bullpen (Smoltz). But then, we are paying a pitcher 20 million a year in the pen. Don’t know what our payroll situation is but could we afford to pay a good starter the money the market says he should get.I mean average guys are getting 15 to 20 mil for an ERA in the mid 4’s. Nothing wrong with a mid 4 ERA its just I feel we already have guys that with some experience like Disco and Finny got the last couple of years we could get there.Lets face it there aren’t many true aces in this game and very few number 2’s. When does Suarez get moved to the 4 and schebler to the 5? Both those guys are having breakout seasons. Schebler hits the ball so hard. I’d like to see Votto/Suarez/ schebler 2/3/4 when Cozart gets traded. When Duvall is out of the lineup for some reason. He’s the cleanup hitter, so he always hits 4th. That’s a rule. Can’t be broken. Right now it needs to be Cozy,Votto,Suarez,Duvall or Scott depending on lefty or right,Devin,Peraza,the pitcher and Billy hits 9th.We get our best guys at the top,split up Peraza and BIlly.This gets the top guys more at bats and puts them in position to knock in runs if the bottom gets on.Keep it this way for awhile and see what happens.Won’t hurt and may help.